Do you experience deja vu very often? Yes, Almost All The Time! Do you hear unexplainable voices at night? Did you ever have a feeling about someone and it turned out they either called you or messaged you? Do electrical devices work bad when you're in an emotional state? Have you ever experienced seeing a ghost? I Don't Believe in such Non-Sense! Do you often dream of something, remember it well and it comes true? Did you ever wake up and found an object of yours mysteriously misplaced? Do you sometimes feel like you had a hard landing in a dream and then suddenly woke up as if you were falling? Do you sometimes feel that you already know someone's personality very well before meeting them? Do you have odd dreams about going to a place you've never been to, and it turns out to be really accurate for real? Do you see blurry lines around people often? You are empathetic towards people. Meaning you have a very close understanding of their emotional state and even take it as your own. This allows you to have a connection beyond the 5 senses with people. And you feel that and even do extraordinary things such as finishing their sentences before them or know when they need you. You experience deja vu a lot or dreams that in someway come to be true. This is very usual to you and you are naturally tapped into your precognition/premonition. Either by dreams or glimpses of visions. You see things that people would call you crazy for. When you were little you were used to having an imaginary friend. You could often see things around places that have been reported haunted as well. 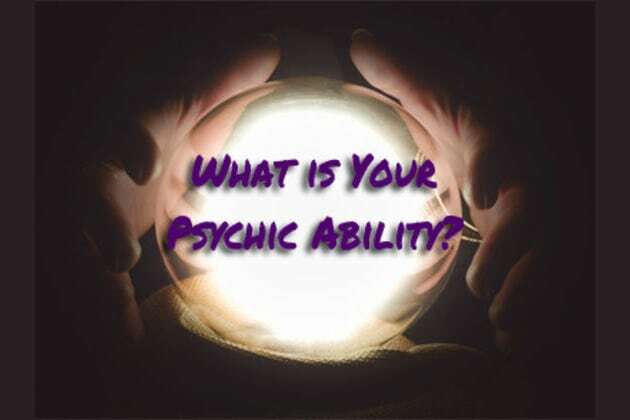 You have experienced weird 'coincidences' a lot such as lights flickering only when you are around, electrical devices not functioning well, objects moving on their own... This is a sign that you are unintentionally psychokinetic. Which is the manipulation of energy through will (or unwanted will or emotions) alone. Astral projection is the ability to travel to places only with your consciousness and awareness. Yogis were able to achieve this ability by reaching one of the slowest frequency of their mind through meditation (the point between awake and asleep. In psychology known as Theta brainwaves). This ability can be very useful in so many ways. You are able to see the electromagnetic field around living beings which is also called an aura by believers. After time (or even sooner), you will begin to see different colors in an aura. This can help you in different ways such as knowing someone's personality, knowing their intentions, health state and more! Want to know which cool ESP (Extrasensory Perception) ability you have? Either you're skeptical or not, try it out for fun and curiosity!